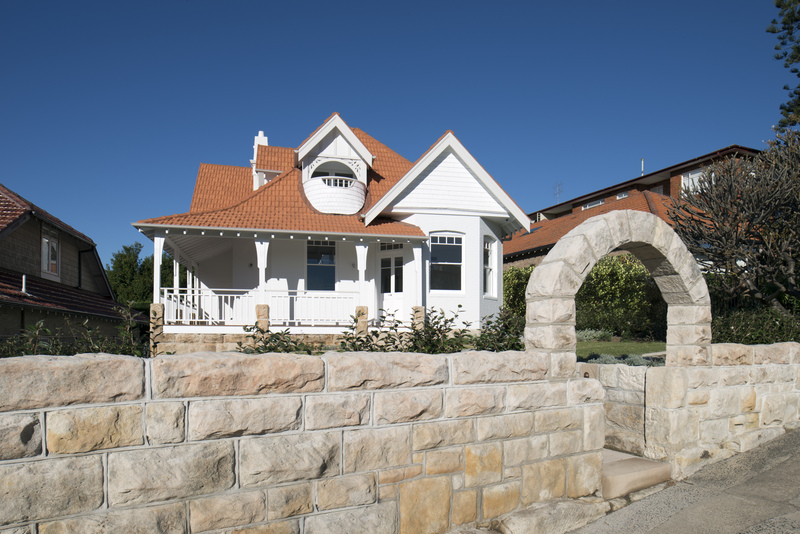 This project involved the refurbishment and major alterations and additions to a heritage listed Queen Ann style federation house on Balmoral slopes. The original house was substantially refurbished with a new wing added at the rear, separated from the original house by a central courtyard allowing winter sun into the main living spaces. The original house contains the formal living and dining areas, two bedrooms, ensuite, bathroom and media room with a new upper level master bedroom suite and sitting room integrated into the roof to take advantage of the views to Sydney Heads. 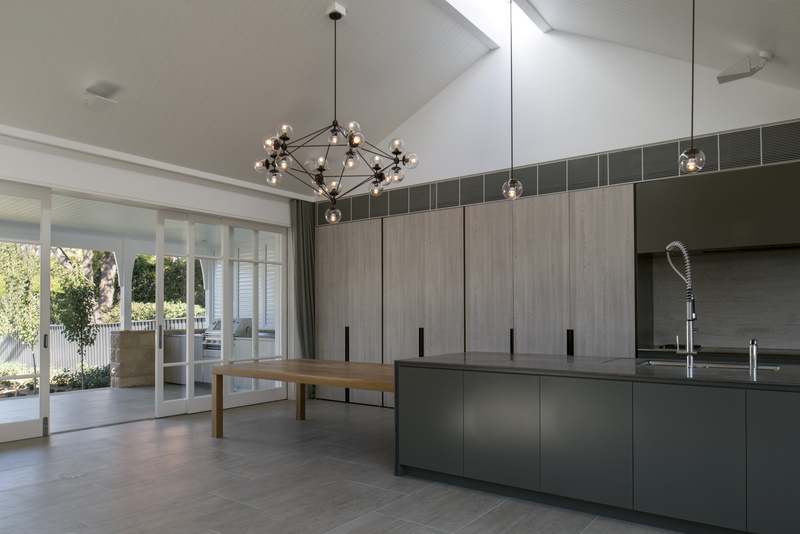 The new rear wing comprises of a kitchen, laundry and family room, featuring a raked ceiling and large skylight running along the entire length of the room. The new addition opens onto a large terrace, which overlooks extensive gardens and a new building off Muston Street housing a double garage, gym and a studio over. 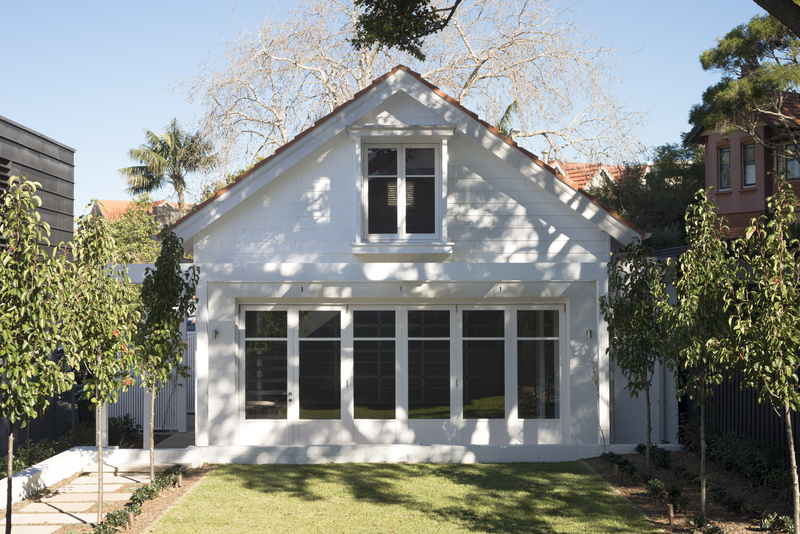 The new addition is separated form the heritage listed front section with a central courtyard. 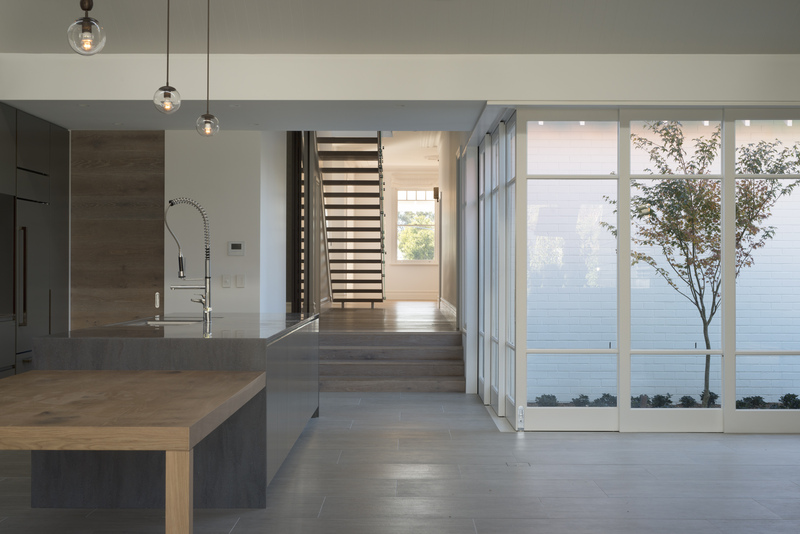 This provides natural light, morning and midday winter sun as well as natural ventilation to the main living spaces. 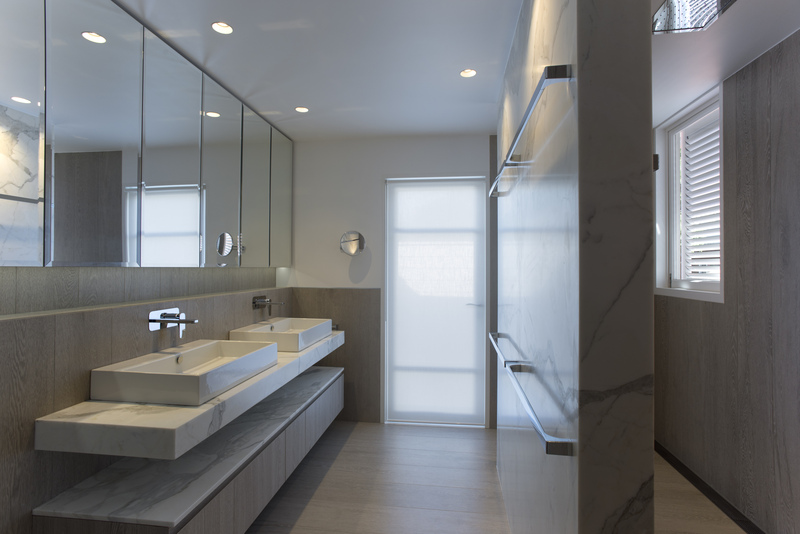 The central skylight to the rear addition maximises natural light, minimising the use of artificial lighting.